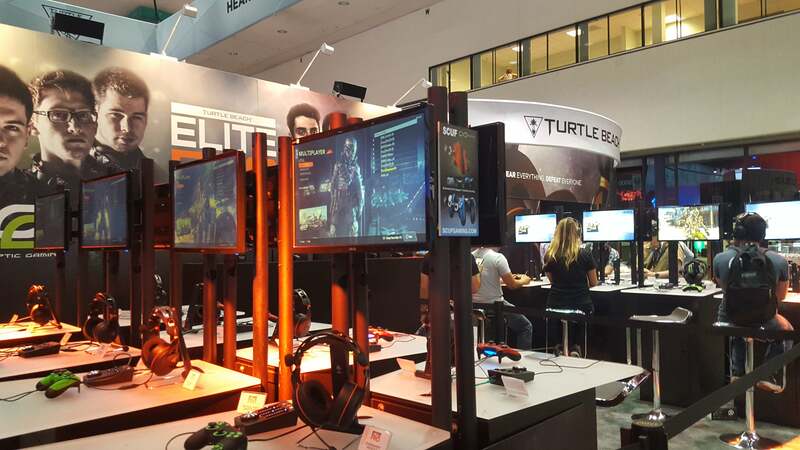 E3's always been a console-focused show, but the PC was out in force for 2016. 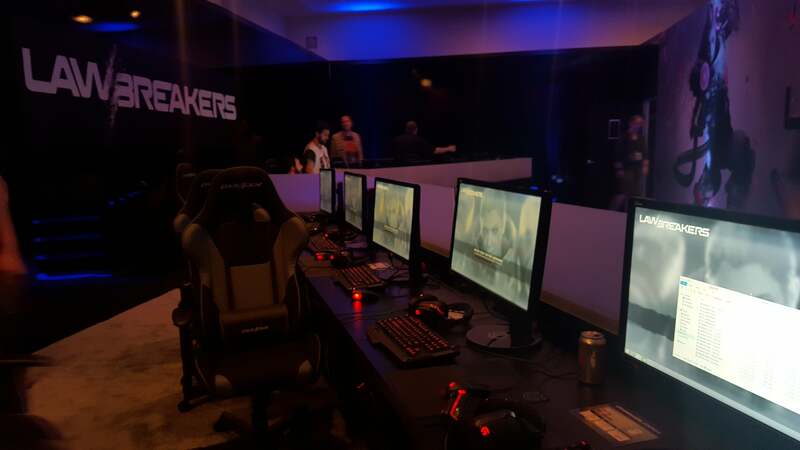 We were there to document all the PC-focused companies and hardware on-hand. 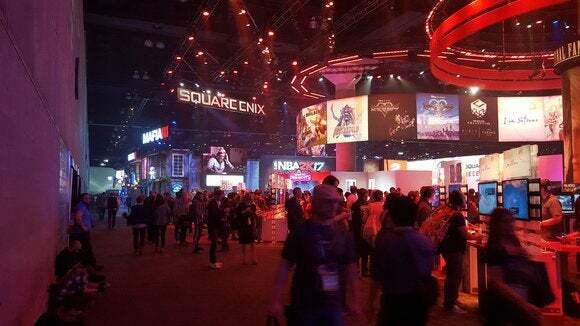 E3’s always been a console-first show—and don’t get me wrong, that’s still true. GDC, PAX, and Indiecade are much friendlier towards PCs. But maybe that’s starting to change. 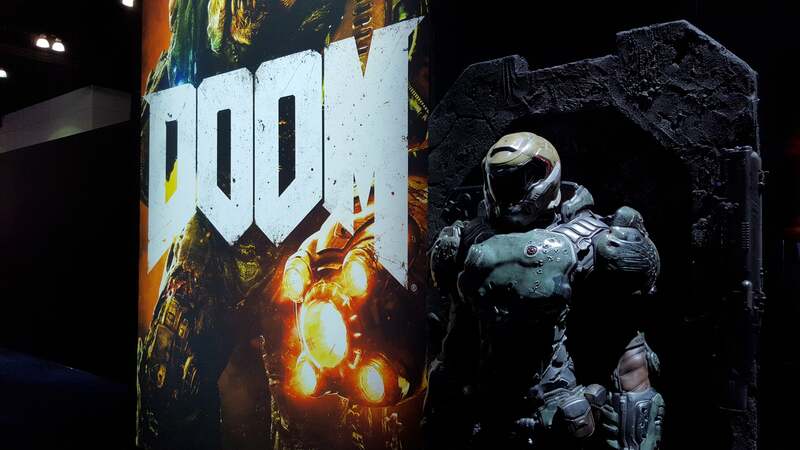 The number of PC games revealed at E3 2016 exploded. Microsoft’s bringing Xbox One “exclusives” over to Windows 10 in huge numbers. The PC Gaming Show gave smaller PC titles a stage presence in the middle of press conference day. And virtual reality—still a PC-only platform until PlayStation VR launches—was all over the show. Make no mistake: E3 2016 was a renaissance for PC gaming, and we were there to document it. 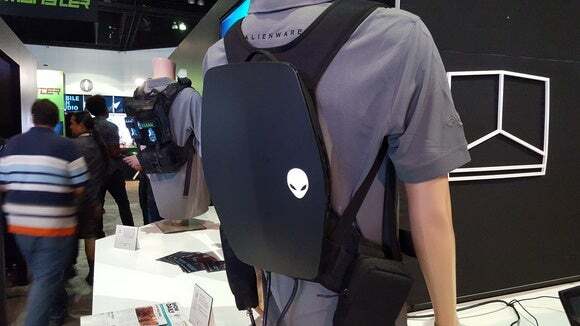 It sounds like an idea from a ridiculous cyberpunk novel, but no—Alienware and Zero Latency's backpack computer is real, or at least real-ish. I wore the concept model on display at Alienware's booth. 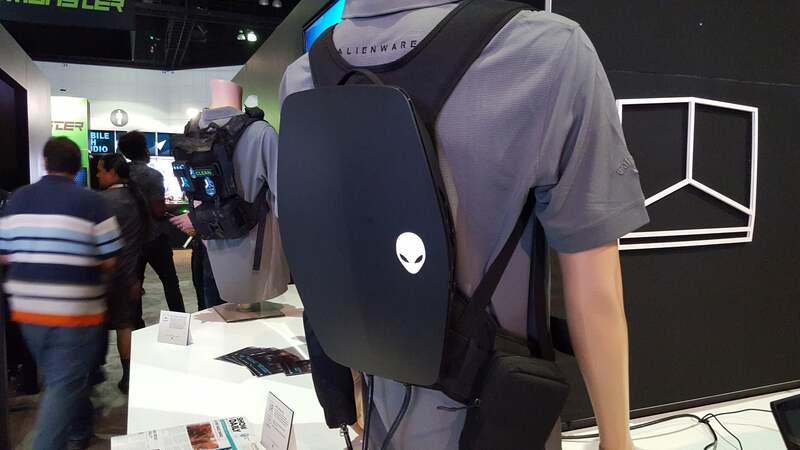 Powered (at least for now) by AMD's new Radeon RX 480 graphics card, Alienware's backpack computer is designed for a future where tethered VR headsets maybe aren't quite so tethered anymore. It's comfortable, it's lightweight, and it's certainly small. It still looks sort of dorky though. Microsoft did more than simply talk about the PC in relation to the Xbox this year. 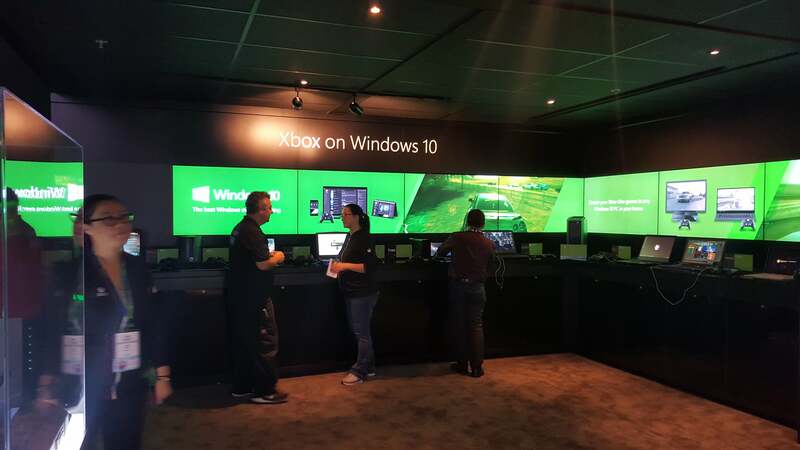 It straight-up dedicated a portion of its booth to Windows 10, in all its incarnations. 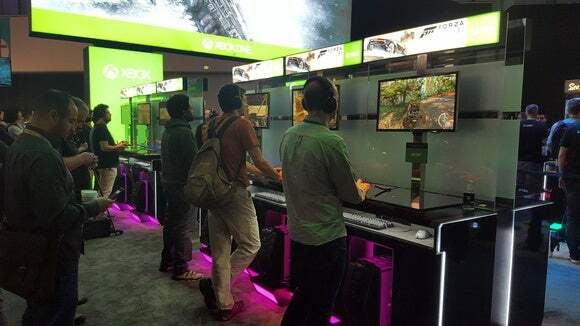 Given the cost of booth real estate at E3, even a small PC section marks an impressive commitment of resources by Microsoft. They could've crammed at least twenty more Xbox stations in this space. And it extended out into the demo spaces too. For the first time I can remember, Microsoft demoed a game on PCs on the show floor. There were plenty of Forza Horizon 3 demo stations on the Xbox One S, but also a handful of stations showing the game off on Windows 10 at 4K resolutions. Here's hoping we see more of this at E3 2017. I'm always on the lookout for crazy case mods at these shows, and while E3 isn't quite as impressive as PAX you can still typically find one or two. 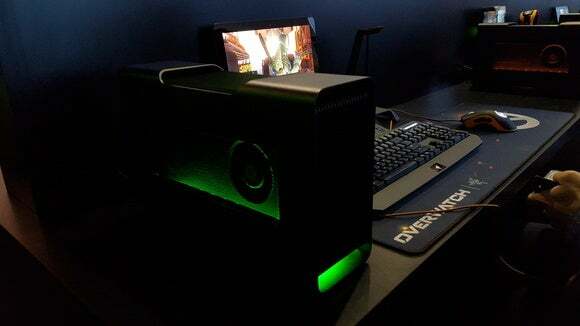 And again, it was Microsoft this year showing off some impressive builds by PCJunkieMods. 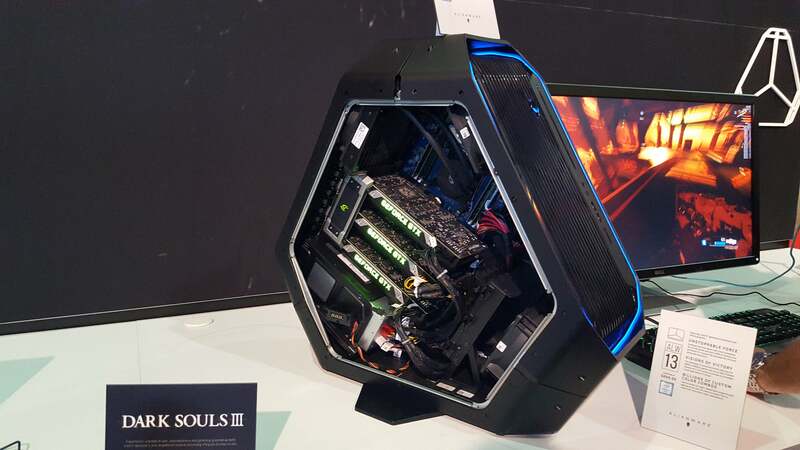 This second build by PCJunkieMods utilizes In Win's sweet H Tower chassis. 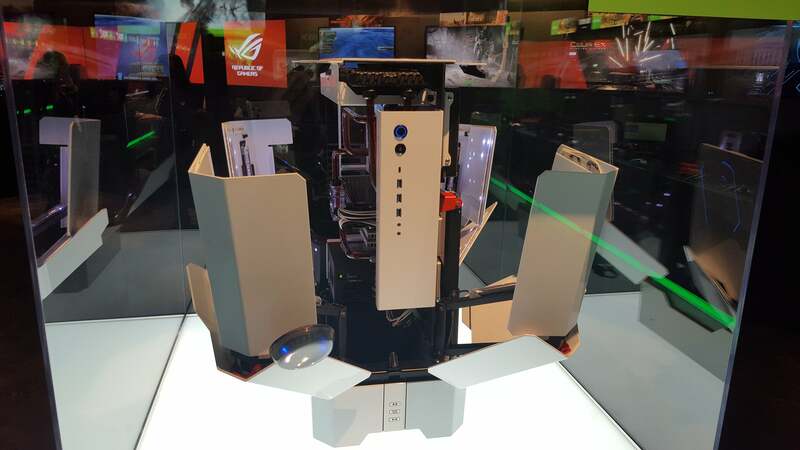 It looks so cool I was convinced it was a case mod, but no—that's just how the H Tower is designed. The whole machine unfolds like a Transformer, and even has built-in lasers to show how much space it needs. I would totally buy one, if I had $2,400 to spend on my case. Sure, the controller is technically a console peripheral, but I'd bet a fair number of PC gamers have one hooked to their machine these days. 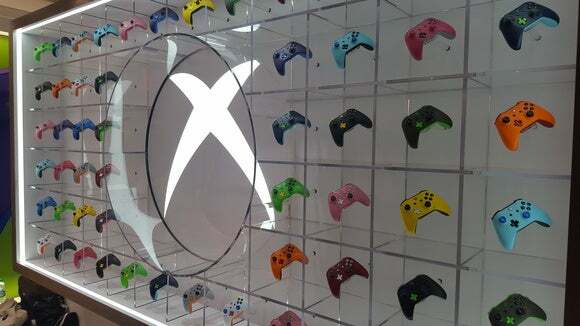 And for the first time ever, Microsoft has included simple Bluetooth support in its Xbox controllers alongside the proprietary signal used by the console. Adios, wireless dongle—and that goes for Windows 10 PCs, too. Oh, and you can order a controller in pretty colors now, thanks to Xbox Design Lab. 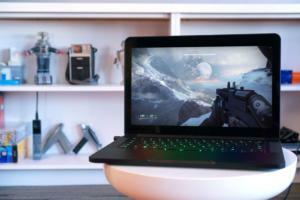 We've seen the Razer Core graphics dock a few times now, but it's still impressive to walk by the company's booth and see a bunch of laptops hooked up and running Overwatch—especially when some of those laptops don't even have a dedicated GPU inside. 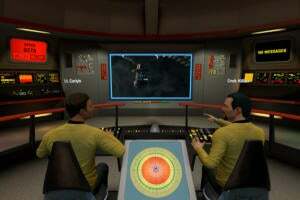 The Core turns them into gaming machines. And it looks pretty sleek, too. I dismissed Razer's original Hacker Development Kit. By the time its open-source VR headset was announced, we were already looking forward to Oculus's consumer Rift, so a DK2-equivalent headset was not a huge draw. 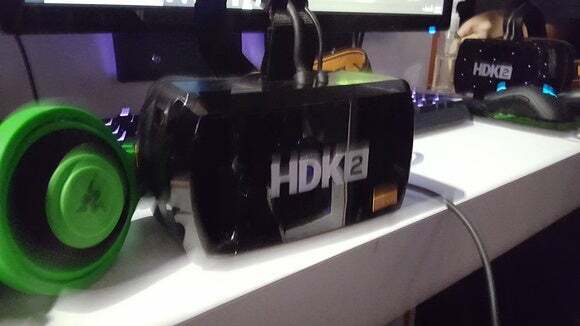 But Razer showed up at E3 2016 with its second OSVR iteration, the HDK2, which packs hardware roughly equivalent to the consumer Rift's specs, but for only $400. 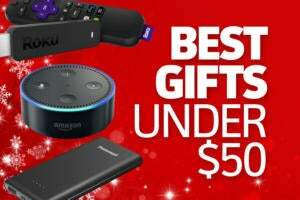 That's $200 cheaper than the Rift. The big question will be software support, but it's definitely a strong play by the Open-Source Virtual Reality project. Also a part of OSVR: This haptic glove, made by Gloveone. I was told this is a very early prototype, as if I needed to be told—it was pretty difficult to put on, had wiring strung all over the place, and was a bit finicky to use. 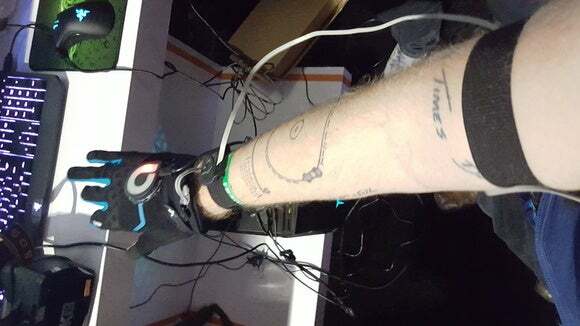 But it did work, tracking all five of my fingers in VR and delivering haptic feedback to my entire hand. Now we just need Nintendo to step in and make a movie/elaborate-hour-and-a-half advertisement about it. 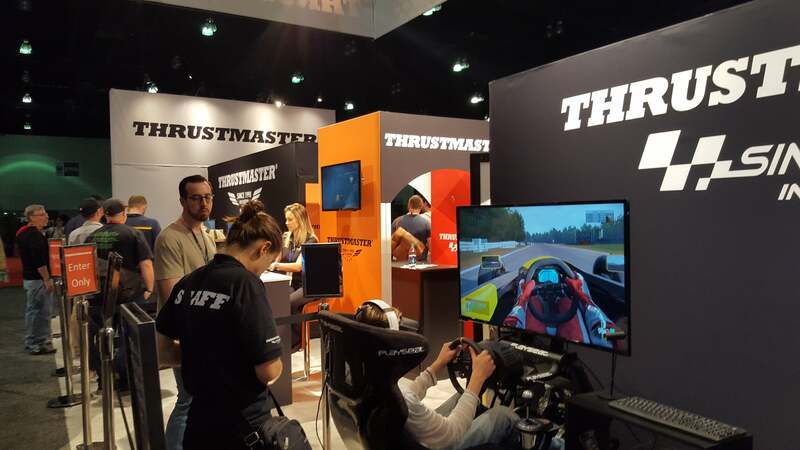 Well, at least one company is probably ecstatic that so many publishers (Disney, EA, Wargaming, Activision) dropped out of E3's showfloor this year. Turtle Beach, previously trapped next to Activision's deafening booth, got prime real estate this year, right at the entrance to West Hall. Surprise: They brought some headsets. 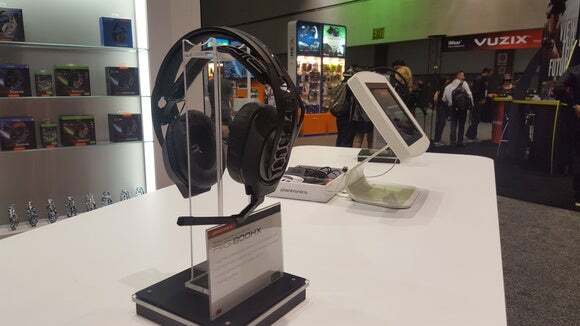 Here's another one for the headset crowd, and this time it's another mainstay: Plantronics. It didn't have quite as good a spot as Turtle Beach—the booth was tucked into a back corner—but there were plenty of sleek looking peripherals on-hand. With id's new Quake game absent from E3 aside from Bethesda's press conference trailer and Battlefield 1 and Titanfall 2 hidden over at EA's independent EA Play event, that left Lawbreakers to fill the tentpole PC shooter gap. Good news: It did wonderfully with this row of networked towers. Speaking of id and tentpole PC shooters, here's a life-size replica of Doomguy's armor. I mainly threw this in here so I could reiterate how much I enjoyed Doom. Does a robot count as a PC? 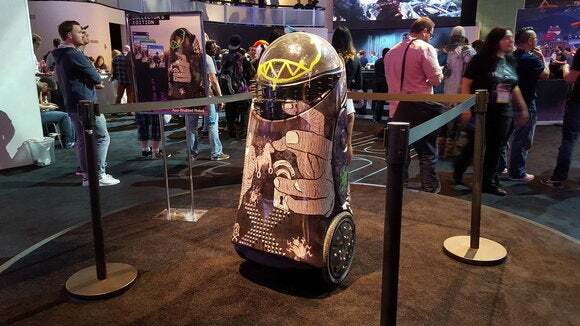 If so, then we'd better include this Watch Dogs 2 promo in our lineup. I don't know if this four-foot version is functional or a statue, but if you order the special, special edition of the upcoming sequel you'll receive a smaller 7-inch version you can control with your phone. These preorder offers get more absurd by the day. I can't fit one of these crazy racing-wheel-and-chair setups in my tiny apartment, but I kind of wish I could. It's damn intense. Okay, so this game isn't actually running on whatever's inside this ancient desktop tower. There's a laptop hidden behind the counter. 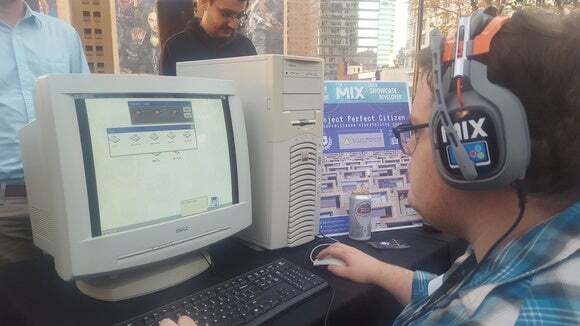 But kudos to Project Perfect Citizen for fully committing to the old-school aesthetic at Wednesday's indie-game MIX showcase. It got a laugh out of me. 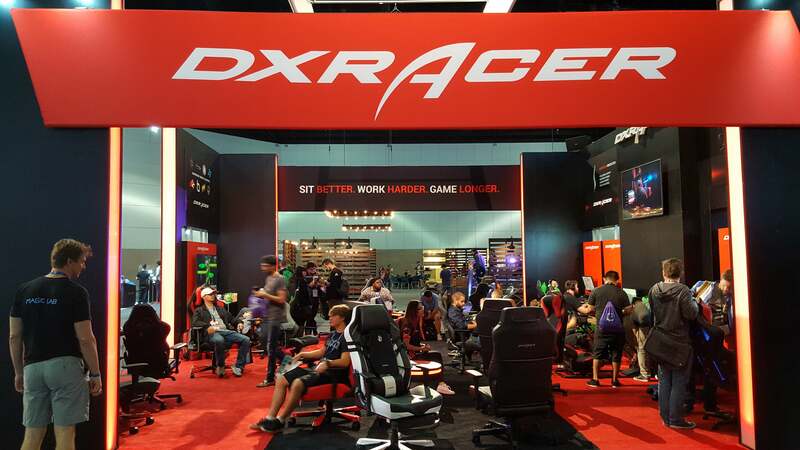 Every year, I rush past DXRacer’s massive booth and think “If only I had time to sit and relax in those chairs for a moment.” Safe to say I’m envious of everyone in this photo. But enough about the hardware. The real draw at E3 is the software. You know, the games! If you're looking for a recap, catch up with the 50ish new PC games revealed at E3 2016. 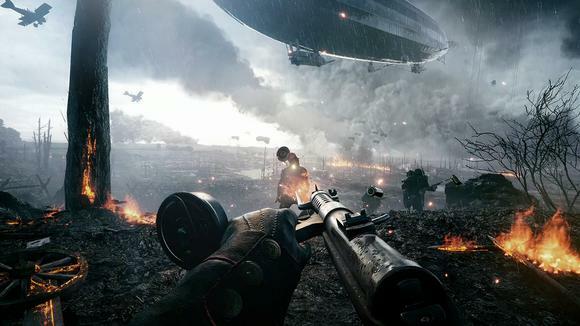 We've tracked down and included the trailers for each and every one. 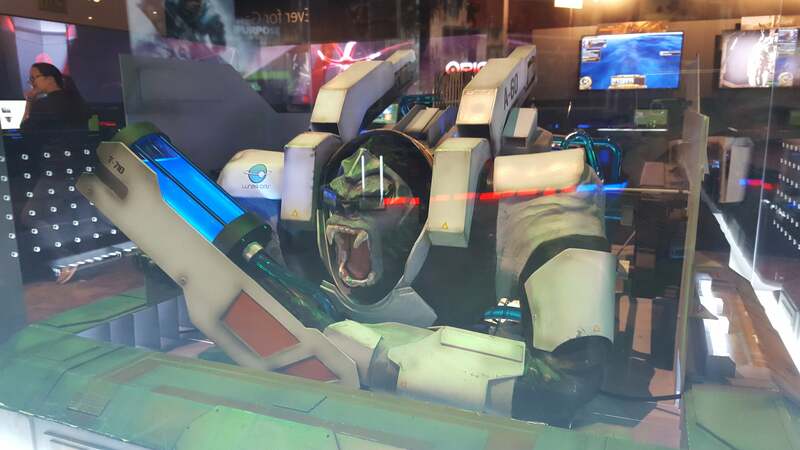 Or if you'd prefer to cut straight to the meat of the matter, be sure to check out the 10 best PC games of E3. They're the ones that got us hot and bothered on a personal level.